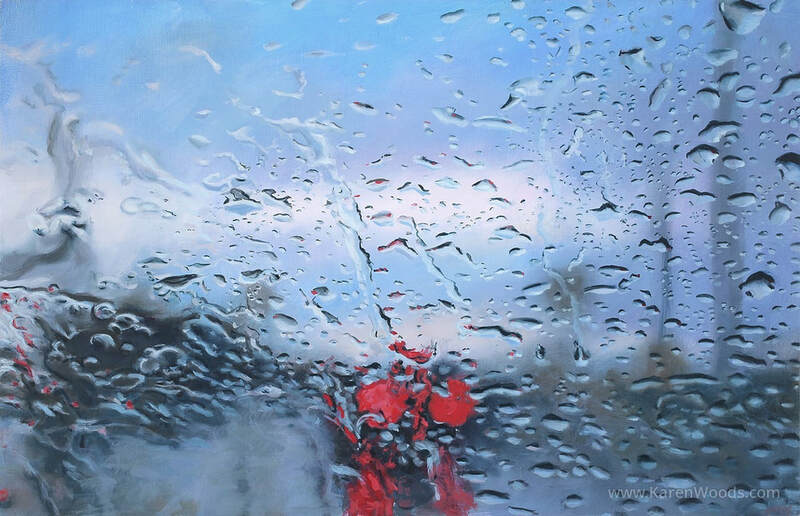 I paint in the realist tradition as a way to communicate the sublime in the ordinary. 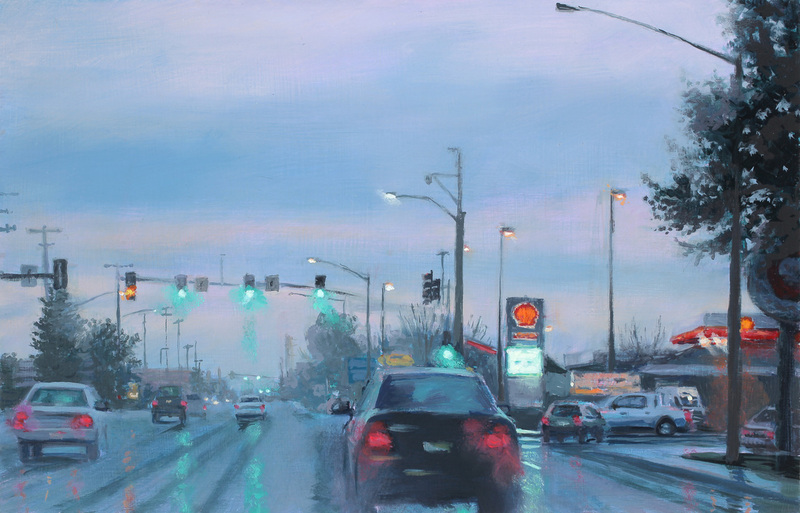 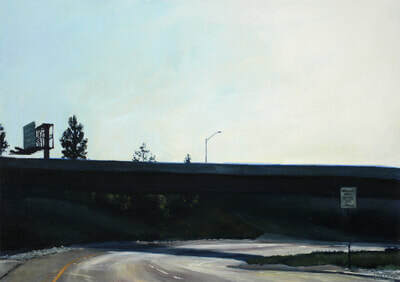 For several years now the radiance of the road has been the overt subject of my work. 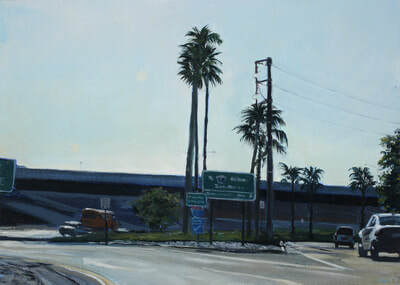 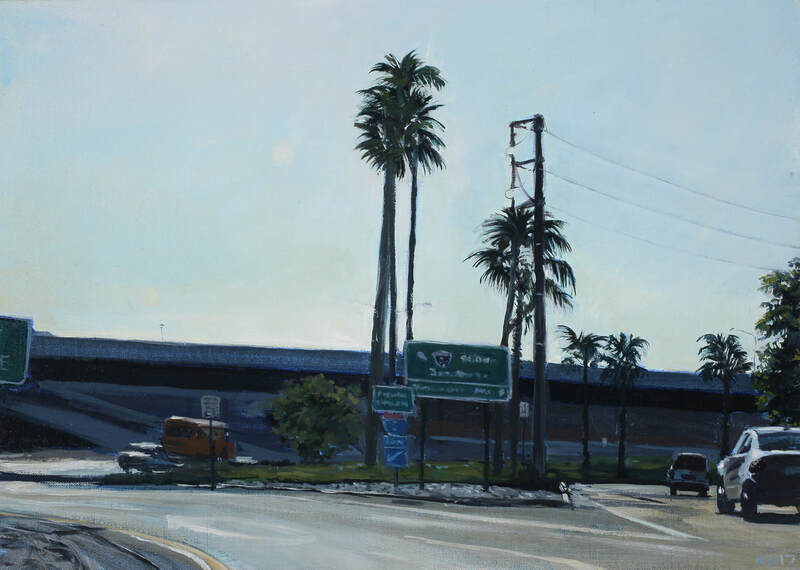 “From Here” is about the particular view as a passenger of the many lanes of traffic on southern California’s highways and suburban streets. The wet roads and rain-soaked windshields—so welcome in this season of drought—both diffuse and highlight this radiance. 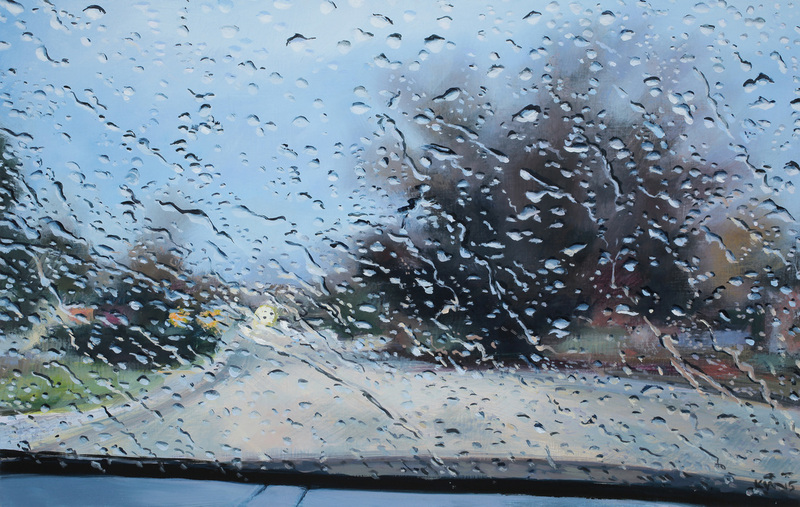 I seek to capture the sense of intimacy inside a car, the state of floating and suspension at high speeds, the sense of isolation and community between myself and fellow commuters, the steady stream of traffic and its resemblance to natural phenomena.